SW2 Streatham Hill Dry & Steam Carpet Cleaning Services | RDA Cleaning & Maintenance Ltd. Looking for an affordable professional carpet cleaning company in Streatham Hill SW2? RDA Cleaning & Maintenance Ltd. now offers you high quality cleaning that can guarantee great results - full stain removal and disinfection. Our top-class carpet cleaning service is available also during weekends and bank holidays at no extra cost. Enjoy your home or office carpet clean & fresh today with a phone call to 020 3404 1646. Our customer support team will help you set up an appointment at a convenient time. We do key pick-ups and safe drop offs. Hire the best carpet cleaners Streatham Hill SW2 today! 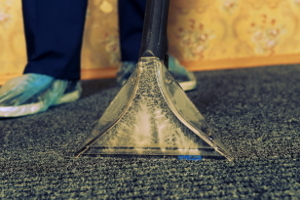 Book Our Proficient Carpet Cleaning Streatham Hill SW2 Now! So if you wish the services a team of professional carpet cleaners in Streatham Hill SW2 that will fully remove all carpet stains & unpleasant smell, then call 020 3404 1646 or use our online booking form and we will be on our way ASAP. RDA Cleaning & Maintenance Ltd. - quality carpet cleaning at irresistible price! The nearest tube station serving SW2 Streatham Hill is Brixton.